The Beervana Blog has moved. This site is no longer actively updated, though I'm not doing an automatic redirect for people who are landing in the archives. Please bookmark the new site and visit it for current content. hops it has a head! Better archives, with certain categories of timeless content highlighted (things like The Brewing Process, Beer Culture, The Business of Beer, and American and European Stories). All of the content from this blog has been migrated over there, and most of the comments. Posts placed over there over the past month or so, as both sites have existed, arrived sans comments. Layout of the old posts is dodgy, except for those that appear in the archived sections, which I've fixed. Everything else should be basically the same, and longtime readers should find the whole thing fairly straightforward. I'm going to keep both of these sites active for the next week or so, and then this one will auto-direct folks to the new site. If you do have a desire to comment, I'd recommend doing it over there. Please update your bookmarks. A special shout-out to Chris McClellan, who guided me through this project. He helped me find an aesthetic (gently) and did all the heavy technical lifting. Matter of fact, I managed to screw the site up just last night, and he went in and fixed it. Give him a holler if your site needs tuning up--he is good at this stuff. We have a new podcast for your listening pleasure. The main subject is Mexican craft beer, featuring an interview with Enrique Aceves-Vincent Ramirez of Guadalajara’s Loba Brewing. We talk about the Mexican market, what it's like getting started there, and where things may be headed. A great primer for those of you interested in our southern neighbor. Also on that podcast, a follow-up on my experiment with lupulin powder. (Manufacturer description: "the concentrated lupulin of whole-leaf hops containing resins and aromatic oils.") Recall that I received a package of a new product from YCH Hops--now apparently available for purchase--and used them in a batch of homebrew. Patrick and I had just brewed a pale ale when the package of Simcoe lupulin powder arrived, so I dry-hopped half the batch with that product, and half the batch with standard Simcoes. I poured the two beers and had Patrick--who hadn't had a chance to taste them yet--taste them blind. That segment of the podcast has at least two surprises. I will of course leave it to you to listen and find out what they were. (I'm trying to get better at teasing this stuff!) It's actually a follow up to a different podcast, in which we visited Imperial Yeast. They gave us their "Dry Hop" blend to try, and it produced the sludgy look of a New England IPA all the geeks are excited about. We reflect a bit on that, too. On the origins of Pannepot, the brewery's flagship. 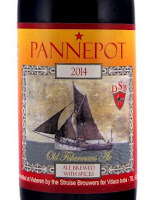 He continued on with the story behind Pannepot, Struise's thick, jammy beer. 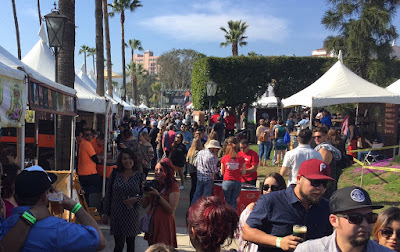 My journey into cervezas artesanales--Mexican craft beer--began at Societe Brewing in San Diego. I'd just flown in from Portland, and Hector Ferreira thought it would be a shame to miss one of San Diego's bounty when so many were at hand. This turned out to be a better metaphor than I imagined; it's impossible to imagine the breweries of Baja California emerging in the numbers or form they have without this brewing mecca right on their border. 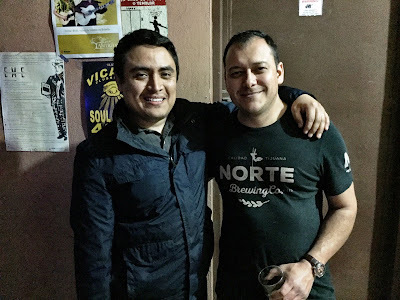 Our next stop was just south in Tijuana ("TJ" to locals) at Norte Brewing--one of the country's best--which is owned by Carlos Macklis, who splits his time between the two cities. Later on I'd meet Ivan Maldonado, a brewer at Silenus, another Tijuana brewery; he also brewed across the border at Fall Brewing. This kind of cultural and human resource exchange is typical. If you can't call to mind a Mexican craft brewery, don't feel too bad. It's a surprisingly recent phenomenon, dating back a little more than a decade. The first significant craft brewery was Minerva, from Jalisco, launched in 2003. That somewhat overstates things, however. One of the people most able to see the scope of the market is Tero Moliis, who founded an ambitious ratings app called Maltapp. 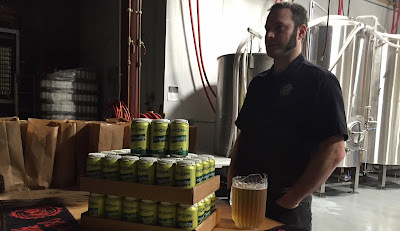 "Two years ago--well, in 2014, let's say, there were fifty or as many as 75 breweries," he told me. "Today there are over 600." Over the past year, they've been opening at a rate of more than one a day. Tijuana and San Diego have shared a boozy relationship dating back nearly a century. They are in many respects twin cities divided by an international border, and residents wash back and forth each day like the rising and falling tide (albeit one slowed considerably by border guards on the northbound side). You might therefore reasonably ask why craft brewing started so late in Baja. The reason--as is so often the case--is because of legal barriers. Mexico is dominated by a duopoly of giants--Cuauhtémoc Moctezuma and Grupo Modelo--who until 2013 had absolute control over the market. They held powerful exclusivity contracts with retailers that kept small breweries out, which made starting a brewery dicey in the extreme. 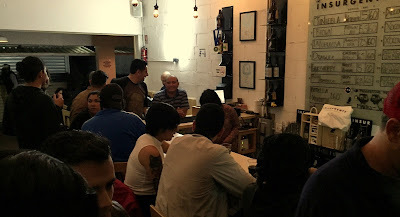 The two companies do so by holding exclusivity agreements with a large number of restaurants and bars throughout Mexico, limiting the access of micro - brewed and other beers not distributed by the two companies. On July 11th, 2013, the CFC announced a decision that these two companies would have to limit their exclusivity contracts to 25 percent of their points of sale in small grocery stores, restaurants, and bars, effective immediately. This number is to reduce to 20 percent by 2018. Back to Norte, which is on the fifth floor of what is mostly a parking lot, but inside it looks much like anything you’d find in Portland--or San Diego. Big chalkboard over the bar, a lineup of beers that includes three hoppy ales, a small kit Macklis designed himself behind glass to the side of the bar, and a sky view of downtown. Not only do brewers in Baja have access to ingredients and equipment just across the border, but they can learn from and collaborate with San Diegans. Right on cue, I bumped into Keith Shaw, lead brewer at Modern Times, who was down for a pint. After tacos, we made another pit stop at Plaza Fiesta, the "colectivo" I mentioned, and had a couple pints in pubs that took their style cues straight from north of the border. In Baja, as one brewery told me, "it all pours down" from San Diego. 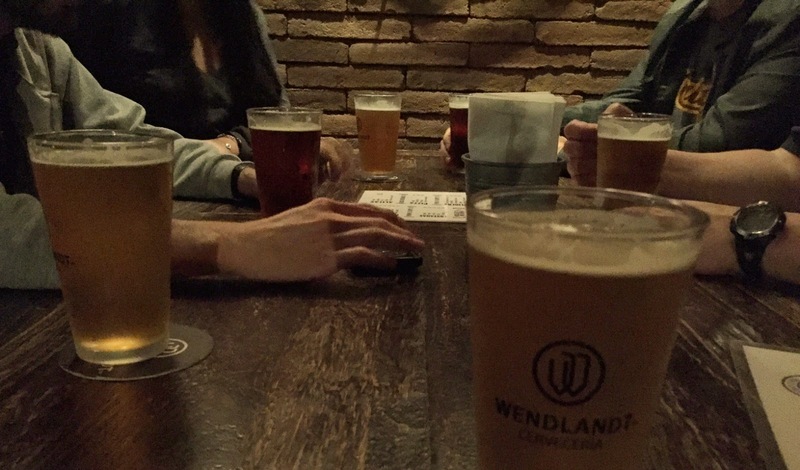 I’ve harped endlessly about the way beer culture is formed—the organic communication between the brewer and drinker that somehow produces a distinctive palate and way of brewing region to region. The Mexican market is still too young to know what they want, which means the brewers are experimenting pretty broadly. Nevertheless, that formative period the United States went through that lasted from the earliest breweries until the first shakeout took two decades. Here, they've compressed birth and adolescence into just a few. The learning curve for Mexican breweries is far, far shorter than it was for Americans. Most brewers haven’t been professionally trained, but there’s so much more information and communication out there now that they’re learning very fast. English-style ales seem to be the dominant category (again, much like the US in the 1980s), but brewers are already moving on. It seems to have occurred almost simultaneously around the country that fruit and culinary ingredients, particularly native Mexican ones, offer a deep vein to mine. In the short time I’ve been here, I’ve seen fruit, spices, and in one case, squid ink, all deployed. Albur's brown ale was a highlight at the fest. I think the big transition will happen when brewers start to get access to locally-grown barley and hops, which they're keen to do. Significant barley crops have been grown in Mexico for centuries--and varieties bred for the climate have been introduced periodically since the 1960s. They grow six-row strains, and Hector Ferreira, who brews at Cerveceria 159, told me they're not particularly great barleys, so there's still work to do, but that's promising. Hops are obviously a bigger challenge. At 32 degrees, Tijuana is south of the ideal hop-growing zone--and places like Mexico City, at 19 degrees, are far too far south. But a number of the brewers I spoke to are keenly interested in Neomexicanus hops, which flourish at southerly latitudes. Beyond this, brewers are already embracing localness in their beers. Paco Talamante, at Canneria Cerveceria in Ensenada, made a wonderful saison with the hard, salty water that bubbles up from the rocky soil. Like Astoria, Oregon, Ensenada used to be a huge canning port, and like Astoria, the canneries all closed. Like Fort George, Talamante wanted to bring canning back to his home town, and he wants his beer to reflect the place as well. It's a sentiment I heard many times during my visit. In this way, Mexicans are way ahead of Americans, who didn't start talking like this for decades after craft beer got started. 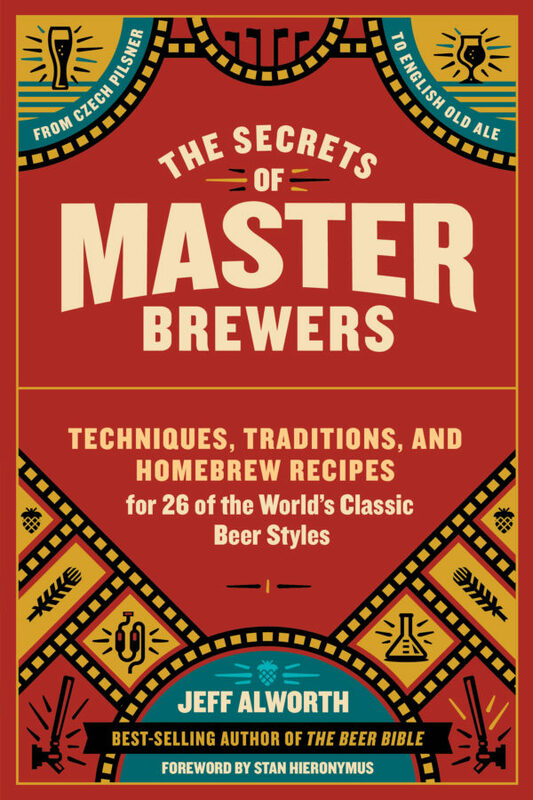 A new title has elbowed its way onto the increasingly-crowded beer section at your local bookseller: The Secrets of Master Brewers, my latest book. It is, foremost, a guide to homebrewing. But it's not just a brewing manual. 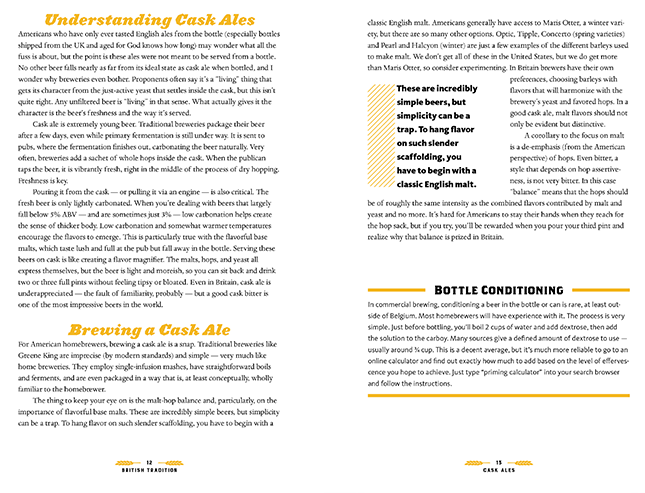 The idea behind the book was to introduce the idea of national tradition, this notion that people who inhabit a region begin to think about beer in a similar way and develop techniques that accentuate their preferences in beer. I've organized the book around these national traditions, and each section begins with an introduction describing those elements that define it. The chapters focus not on styles so much as archetypes. Bavarians think about and make lagers very similarly whether they're brewing a bock or helles but differently than the pale lagers made in neighboring Bohemia. Based on my travels and writing, I mapped out the extant national traditions as I know them and the archetypal styles within each. 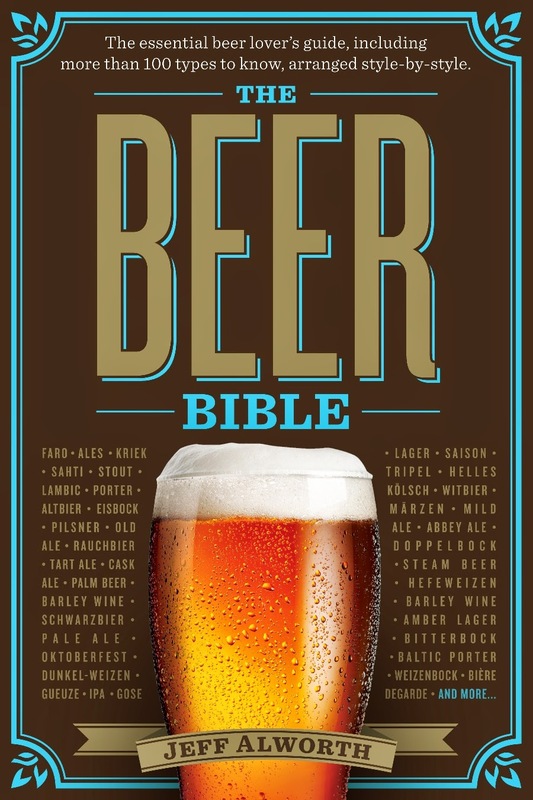 Whether you want to brew one of the beers in the book or just understand them at a deeper level, this book has information you won't find elsewhere. Ian Cameron (Traquair) emphasizes the importance of open fermentation. Matthias Trum (Bahnhof) provides techniques to conduct lactic fermentations. Alexis Briol (St. Feuillien) offers a tutorial on subtle spice infusions in biere de Noel. Brian Mandeville (Fullsteam) advises readers how to use corn in their brewing. 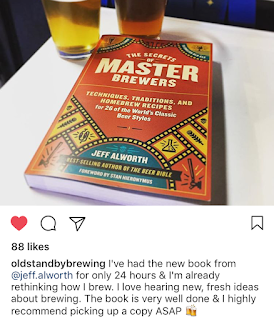 Throughout the course of the book, you'll learn techniques like decoction mashing, kettle souring, making invert sugar, cask-conditioning, adding speise, how to use different spices (which may be bark, seeds, blossoms, leaves, herbs or roots), wild fruit inoculations of wort, growing your own hops, and more. In one week's time, my latest book will officially be published: The Secrets of Master Brewers from Storey Publishers. Next Thursday, March 23rd, the book launches at a very cool event in Hood River, where I've sagely arranged to have Josh Pfriem, Matt Swihart (Double Mountain), and Jason Kahler (Solera) join me in a panel discussion. The idea was an outgrowth of my research for The Beer Bible; in traveling around to Britain, Belgium, Germany, the Czech Republic, and elsewhere, I became far more attuned to the national brewing traditions in those countries. I would periodically post blogs or discuss my travels, and the people who were most interested were invariably homebrewers. People were fascinated about, say, the way in which nearly every Belgian ale spends time in secondary fermentation in a warm room, or how open fermenters are pivotal in developing flavors distinctive in weissbier, and were keen to learn more. So a flicker of an idea sparked in the back of my brain: what if those same brewers I spoke to offered basic advice on their techniques for the homebrewer? Thus was born The Secrets of Master Brewers, which is part homebrew how-to, and part brewing anthropology. The book is organized to reveal the proclivity of brewers in different countries. 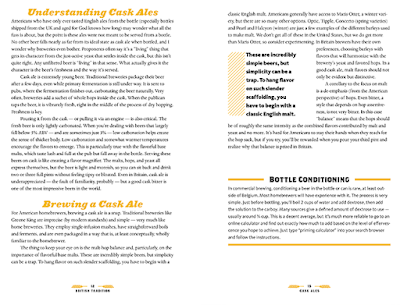 I start with an introduction of the national style and what typifies it, and then offer deep dives into classic types of beer, with recipes and formulations offered by brewers who made them famous. 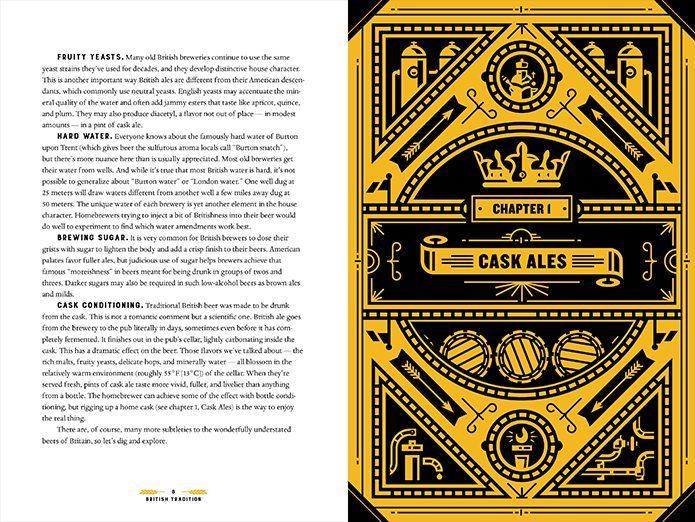 The book takes us on a trip to Kelheim, Germany and Tourpes, Belgium and London, England where we learn from masters of weissbier, saison, cask ale--and 23 other classic beer archetypes. The book was mainly designed for homebrewers, but should be interesting and entertaining for anyone with a deep interest in process and technique. I'll host a panel discussion with three of my favorite brewers, all of whom are featured in the book. This will be the live-action, multi-sensory version of the book, with the brewers on hand to discuss their process and philosophies. One of the amazing advantages in writing about beer is that I get to walk around breweries with the world's best brewers and pepper them with questions. I get to hear how they think about beer, what curious techniques they use, and how their personalities get expressed through their beer. This is a rare opportunity for me to share that experience with you. Matt Swihart has always been a hops whisperer, and he was one of the first to figure out how to properly brew fresh hop beer. Jason Kahler, who learned a great deal about brewing as a homebrewer, uses fruit from the Hood River orchards to inoculate his wort, a technique he explains in the book. (You also get a sense of the temperament it takes to work with wild, native yeasts when you talk to the very laid-back Kahler.) Finally, Josh Pfriem will talk about how he adapted a basically irreproducable style in the US--tart Flemish ales. 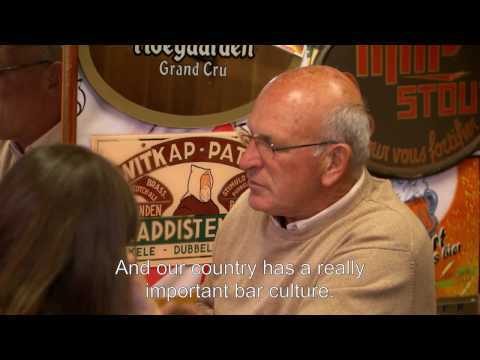 We'll discuss the heritage and tradition of these beers, the agriculture and terroir, and of course, see how this all expresses itself in the flavors of beer. It's a bit of a drive for Portlanders, but the start time should allow for an after-work jaunt down the Gorge if you wish to join us. With those three brewers, I guarantee a fascinating and toothsome evening. Of course, I'll be on hand to sign books afterward. Come join us, or buy the book if you can't make it.